The Rotel Setup Configuration Utility is a useful program that allows users to upload and download the settings from their Rotel Surround components to a PC via the Computer I/O connection on the unit. The connection is made from the serial port on the PC to the Rotel unit via an RJ45 to DB9 connection cable, which is included with all of the Rotel models that can use this utility. If a replacement cable is required, the part # is CB00004 and it can be ordered on our Parts Store here. Use this to store the settings of customer units for easy reference later or to restore settings in customer units if needed. Store preset system configurations for common system setups for quicker installation. Use the program to make multiple changes to the settings quickly and download them to the unit rather than navigating the On Screen Menu to make the changes. Download the Rotel Setup Configuration zip file, and unzip the files to a folder on the PC. Either double click on the file named "Setup.exe", or from the the start menu choose "Run", select "Browse" and go to the folder where the files were unzipped to and select the "Setup.exe" from this window. Included in the zip file are instructions for using the program as well as several premade configuration files which can be used for quick setup. Download the instructions for this program here. Send us an email and we'll do our best to help you in any way we can. 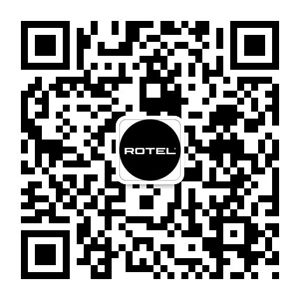 Get the latest news in sound technology and products with the Rotel Newsletter.